House sparrows are notoriously adaptable, tame and seemingly unafraid to be around people. About six inches long, House Sparrows are more chunky than native sparrows. House Sparrows will nest almost anywhere, and seem to like building nests near people. Pairs of House Sparrows work together to take care of the eggs, and take turns incubating the eggs for up to two weeks. Bird seed or seeds from flowers, grasses or weeds are the first choice of hungry House Sparrows, but they will also eat corn and millet. House Sparrows are easy to observe, once you know how to recognize them. One distinctive characteristic of these chunky little sparrows is that they hop, rather than walk, when they are on the ground. Another characteristic of House Sparrows that makes them fun to watch and easy to identify is their fondness for dust baths. It's common to see them splashing dust or dirt on themselves, much like children bathe in water. It's common to find large groups of house sparrows together (except at breeding time when they pair off). They are not true songbirds, as they don't actually sing. 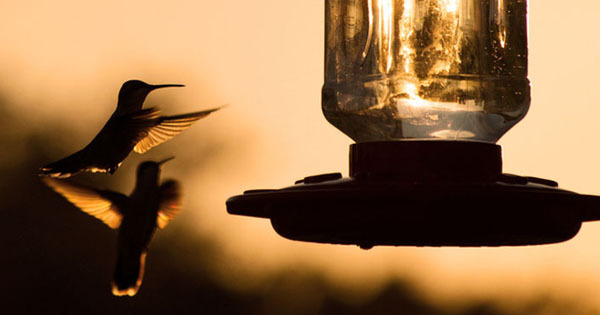 Instead, they "cheep" and "chirp", and are often described as noisy by those who have observed a flock of house sparrows take over a bird feeder. House sparrows are not native to the United States, and how they came to have a dominant presence here is an interesting story. House sparrows were deliberately introduced in the 1850’s in New York, and over the next 50 years they became popular in other cities. House Sparrows, which are not native to America, are found in every state in the continental U.S. and are in fact displacing native birds. Native birds compete with House Sparrows for food and nesting sites. House Sparrows may have several broods each year, which has helped their population in the United States grow. From spring to fall, you may see House Sparrows building nests near where you live, go to school or work. House sparrows seem to prefer nesting in or near man-made buildings or areas, and their nests are easy to spot at almost any shopping center. They frequently make their nests in the outdoor signs, to the chagrin of retailers and customers alike. From street lights to the eaves of your home, House Sparrows will willingly nest in busy areas. The female lays 4-6 eggs in the nest that she and her mate build from twigs, grass, leaves or even small pieces of paper. These nests may be lined on the inside with finer materials like feathers or string. House Sparrow pairs work together to take care of the eggs. They take turns incubating the eggs for up to two weeks, when the nestlings emerge. About two more weeks will pass before the young birds are ready to leave the nest, and during this time the two parents will take turns feeding the young. Often House Sparrows will supplement their usual diet of seeds with insects while they are feeding their young. When the first set of young have fledged, the parents start over with another brood. This cycle contributes to their large population growth. Unfortunately, House Sparrows are aggressive while protecting their nests. While they may nest near other House Sparrows, they are just as likely to chase off bluebirds or swallows that compete for similar nesting sites. People who maintain purple martin communities have to actively manage their birdhouses to make sure a flock or House Sparrows does not take over the purple martin houses. The less aggressive purple martin birds will give up their homes, which is contributing to their decline in the United States. House Sparrows are also not picky about what they eat, making it easy to find them near bird feeders or at parks where children may be feeding birds. 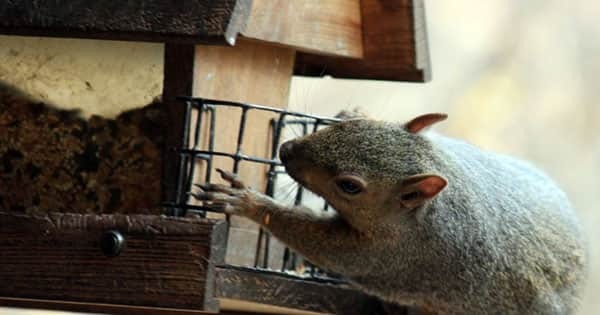 They eat seeds from weeds, grains, and of course - bird seed. 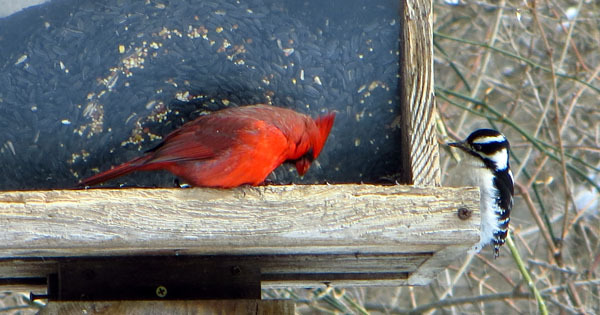 They will eat even the most inexpensive bird food, which is usually made from millet, corn and sunflower seeds. With a little luck you will quickly attract House Sparrows to a backyard bird feeder, and where there is one there are usually many!